Are You a VALUEâ&#x20AC;&#x201C;ADDED AGENT? 18) I'LL TAKE 2 POUNDS OF CONFIDENCE AND 3 POUNDS OF SELF-ESTEEM 22) IS FINDING A NICHE MARKET RIGHT FOR YOU? 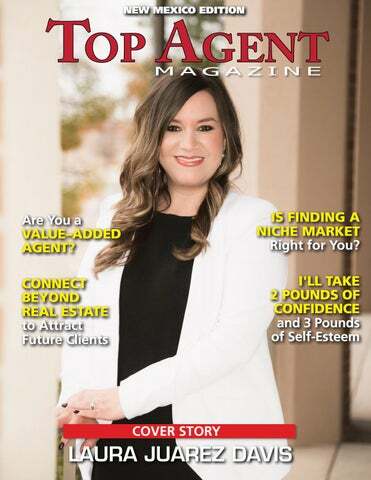 In late 2015, Laura Davis took the leap and opened her independent brokerage, United Realty, LLC, in Hobbs (Southeast New Mexico) at the age of 29. 30 percent of her commission) and Expecting Hearts Inc., focusing on PPCM, a heart condition that affects pregnant women. Laura has also served as a director on the Hobbs Board of Realtors since she began her real estate career in 2011 and now serves on various committees. Her brokerage is also a member of the Hobbs Chamber of Commerce and Hobbs Hispano Chamber of Commerce, which awarded her the Young Entrepreneur of the Year Award in 2016. In addition to all that Laura is doing in her career, she is also a new mom. She and her husband, Rodney, who is also a real estate agent, are having so much fun with their daughter. When there is time, Laura loves to travel with her family and do canvas painting. Looking forward, Laura intends to stay on the cutting edge of real estate and marketing techniques and grow her successful business into a long-standing company. In addition to creating a thriving business, finding a niche may even unlock a hidden passion. Does your area have a large historic home inventory? Are you passionate about helping first time home buyers realize their dreams? Having a personal connection to what you specialize in is always a great way to start out. If you’re passionate about something, you’re almost guaranteed to have the work ethic it takes to have success in a niche market. Once you hone in on a niche, make sure the market data backs up your focus. Another approach is changing with the market. If you’re truly an expert in a few areas of the business, it might be good to have sort of a revolving niche. In a down market you might specialize in short sales and foreclosures. When things pick up, you may take your innovative approaches and start applying them to luxury homes. Whether you take the consistent niche approach or the flexible one, it’s really all about figuring out what best suits you and your market. 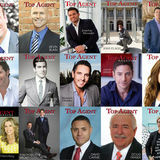 are numerous demographics that truly need expert real estate advice. Be the one to fill it. You can also focus on a particular neighborhood or gated community. Helping people navigate the ins and outs of a particular HOA can be a lifesaver. Are you already serving a niche? Of course, sometimes you may already have a niche and are unaware of it. Maybe you are already dealing with a lot of first-time homebuyers. Look over your sales records and see what might already be there, then make it official. Figure out why you’re drawn to that area and then nail down the reasons you’ve excelled with that niche and use it to create a marketing plan and branding.